Relevance – of the organisation’s participation vis-à-vis the theme(s) discussed by the Consultative Forum. Knowledge and Expertise – degree of knowledge and expertise in the area(s) being dealt with by the Consultative Forum. Availability – of the organisation to get involved in the work of the Consultative Forum. Involvement at national and EU level – degree of involvement of the organisation in the relevant area(s) at national and EU level (European orientation). Affiliation – of the organisation in relevant networks/groups. Relationship – of the organisation with EASO and/or involvement in EU Practical cooperation measures/training/academic activities in the field of asylum. 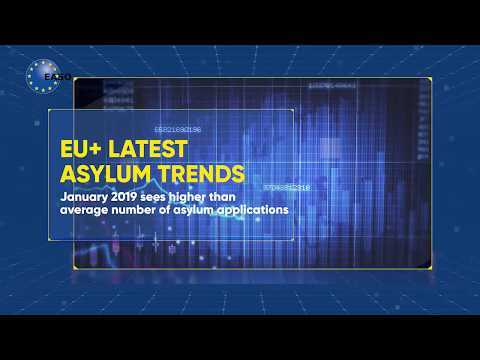 The Annual Report on the Situation of Asylum in the EU is one EASO's flagship products. It includes a comprehensive analysis of relevant statistics, as well as information on important asylum related developments at EU+ and national level and on the practical functioning of the CEAS. This Survey seeks input on what theme the Consultative Forum meetings should focus on and asks for ideas and suggestions as to how you would like to see the meetings implememented. Should you require any further information with regards to a particular consultation, please contact consultative-forum@easo.europa.eu.